My buddy David Gewirtz recently wrote about the question of whether you should move from Windows 7 to Windows 10 or a Mac. I have another suggestion: Linux. Specifically Linux Mint 17.3, Rosa, with the Cinnamon desktop. Linux Mint 17.3 is a great replacement for Windows 7. In fact, it's a great desktop operating system period. Yes, I'm serious. I use all the above desktops -- yes I'm a Windows 7 and 10 user as well as a Linux guy -- and for people I think Mint 17.3 makes a great desktop. I've been using Mint as my main Linux desktop for years now. Unlike some desktops I could name -- cough, Windows 8, cough -- Linux Mint has never had a flop. Every year that goes by, this operating system keeps getting better. The other desktops? Not so much. There's really not much. While it's even easier for a Windows XP user to move to Mint than a Windows 7 user, any Windows user won't have any trouble picking up Linux Mint with Cinnamon. There's a Start Menu and settings are easy to find. I regard Cinnamon 2.8 as the ultimate Window, Icon, Menu, Pointer (WIMP) interface. Is it ideal for tablets or smartphones? No. Is it perfect for long-time PC users? Yes. Cinnamon does add some nice features. For example, if you mouse over the Window list, you'll now see a thumbnail for each application. It also has improved performance, system tray status indicators, and music and power applets. What I like best about Cinnamon is that it doesn't get in the way. There's no learning curve. You may have never used Linux in your life but you can just sit down and start opening directories, running applications, and modify your PC's settings. One small feature I like a lot, since I always run multiple work-spaces, is that the work-space switcher applet now shows a visual representation of what's running in each work-space. It's true that Linux doesn't have as many application choice as Windows does. But, how many applications do you really need in 2016? 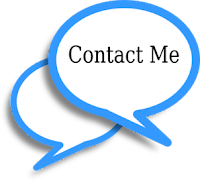 I do most of my work these days on the cloud with software-as-a-service (SaaS) applications. These apps work just as well on Chrome, my favorite Web browser, on Mint as they do on any other desktop. That said, there are many excellent Linux desktop programs. For example, instead of Microsoft Office I use LibreOffice 5. I don't use it because it's free, although most Linux desktop applications won't cost you a cent, but because it's an excellent office suite in its own right. I also use Evolution instead of Outlook for e-mail and GIMP instead of Photoshop for my basic graphic editing needs. The bottom line is that are many great Linux programs that you can use in place of Windows appliations. Are there some Windows programs that you can't live without? Well, you don't have to live without them. There are two ways to run Windows programs on Linux. 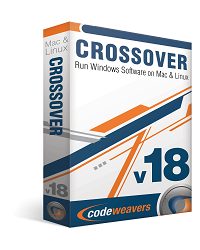 One is to use CodeWeaver's CrossOver Linux. 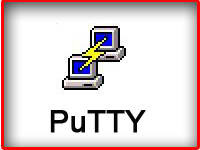 This program enables you to run many popular Windows applications on Linux. Supported Windows applications include Microsoft Office (from Office 97 to Office 2010), Quicken, and some versions of Adobe Photoshop. The application you absolutely must have won't work with CrossOver? Then run it on a virtual machine (VM) program such as Oracle's Virtual-box. I use both methods and they work well.